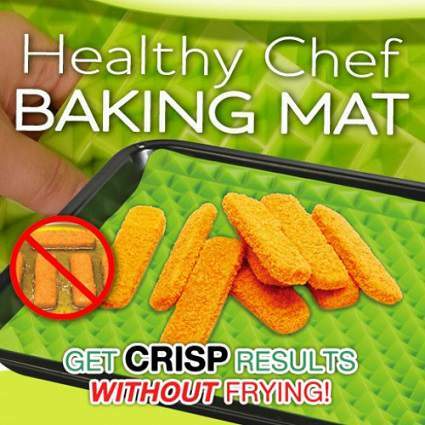 Healthy Chef Baking Mat is a non-stick raised silicone mat which has 351 raised contours which allow fat and grease drain to the bottom giving crisp results. 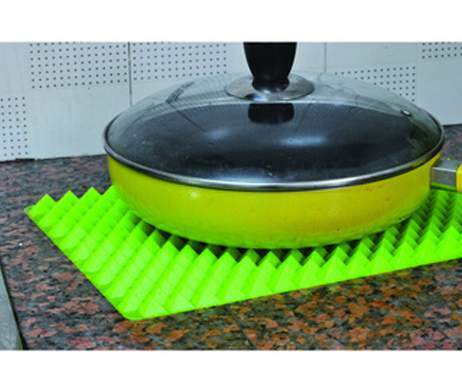 The Healthy Chef Baking Mat allows air to circulate, so food never comes in contact with the bottom of the pan and is cooked evenly. 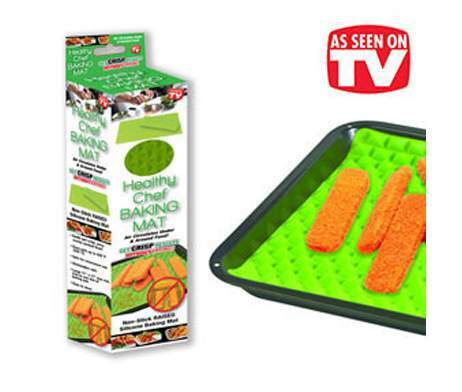 The Healthy Chef Baking Mat seen on TV is 11”x17” and can be trimmed to any size, made of 100% food grade silicone, oven safe up to 428 degree F, safe for micro wave use, dishwasher safe and rolls up for easy storage in any drawer. 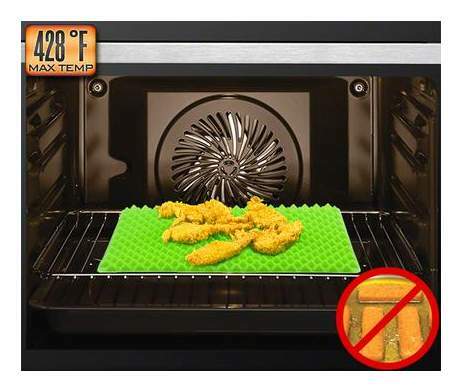 Can also be used as a trivet, pot holder, or a drying rack.